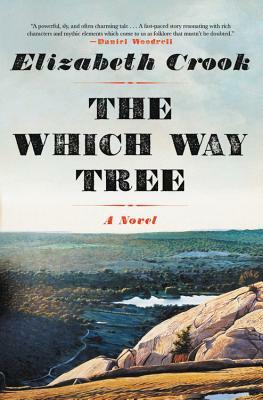 Not since True Grit have I read a novel as charming, exciting, suspenseful, and pitch-perfect as The Which Way Tree. Elizabeth Crook’s new book is winning from first page to last. The Which Way Tree is one part Track of the Cat, one part True Grit, and one part Tom Sawyer, a ruthless pedigree for a novel that displays human nature in its most beautiful form—a marvel. ‘Preacher Dob said, Vengeance belongs to the Lord, Samantha. She said, Only if he can beat me to it.’ This told me everything I needed to know about Samantha Shreve, a character who knocked my socks off from her first appearance on the page. This book is the stuff of legends, tales told for a hundred years around Texas campfires. Written in a form that is historically accurate and yet feels painstakingly intimate, The Which Way Tree is unlike anything I’ve read before. Elizabeth Crook has created a book of marvels. Its comedy is steeped in the hardscrabble tragedies of a wilder old America. You will even catch an echo of Twain’s wit in the picaresque narration.